iBall Slide 3G Q7218 Tab Specifications: iBall company has launched yet another tablet that is the second this month, named the iBall Slide 3G Q7218 tablet which is available at a best buy price of Rs. 6,499. This smartphone launched by the company will be the challenger to the Lenovo, LG, Karbonn and of course with the hottest smartphone company micromax too. The end review by the techiepocket will be published whether to buy this smartphone or not.Â iBall Slide 3G Q7218 Tab Specifications main attraction is its 7-inch display with not so promising features.Â Last week, iBall launchedÂ its first octa-core tablet, the Slide Octa A41, priced at Rs. 12,999. To have a closer insight in the tablet, let us jump toÂ iBall Slide 3G Q7218 Tab Specifications. Regarding its features the iball slide 3g q7218 has the only advantage or merit of itsÂ 7-inch IPS display screen with a image resolution of 480 x 800 pixels. The tablet is powered by a 1.3 GHz quad-core Cortex-A7 processor whichÂ runs on androidÂ 4.4 KitKat. The iBall Slide 3G Q7218 Tab has the disadvantage or drawback of its 512MB of RAM withÂ 8GB of inbuilt storage and Â which is expandable via microSD card up to 32 GB only. Regarding the camera then the tablet bears a 2-megapixel rear camera and has another demerit of its VGA front-facing snapper for video chats and selfies. The iBallÂ Slide 3G Q7218’s connectivity features include Wi-Fi, Bluetooth, OTG, USB OTG, and GPS. A 2500 mAh battery backs the tablet. The iball slide 3g q7218Â and features a quad core Cortex A7 processor clocked at a speed of Â 1.3 GHz coupled with a low 512 MB of RAM only and talking about its internal memoryÂ whichÂ it includes 8 GB storage, 5.6Â GB for app installation and 32 GB external via micro SD card support. The iBall Slide Q7218 Tab Sp has 7-inch screen with a resolution of 480 x 800Â pixels andÂ is clearly a budget tablet. Regarding the camera then the tablet bears a 2-megapixel rear camera and has another demerit of its VGA front-facing snapper for video chats and selfies. The selfie lovers would be upset for sure because of its vgaÂ front facing camera. iBall Slide Q7218 Tab runs on Android 4.4 KitKat operating system not recent though but is according to market trend. The company has not revealed whether it would be up gradable to Android 5.0 Lollipop. iBall Slide Q7218 tablet packs a 2500 mAh battery only. The amount of battery in this tablet is not so convincing as it has a 7-inch display which would drain battery quickly. Last week, iBall launchedÂ its first octa-core tablet, the Slide Octa A41, priced at Rs. 12,999. 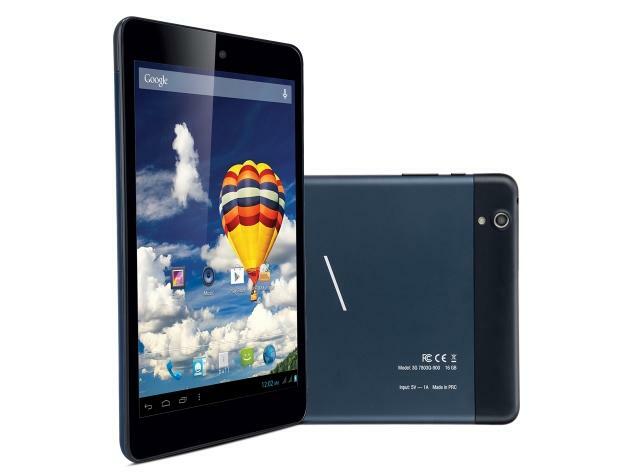 The firm however, is yet to announce the availability of the tablet officially in India. which featuredÂ a 7-inch IPS full-HD (1920×1080 pixels) display with a 323ppi pixel density. Running on android kitkat 4.4, other specifications Â include a 1.7GHz octa-core ARM Cortex-A7 processor, 2GB of RAM, an 8 -megapixel rear camera, a 5-megapixel front-facing snapper, 16GB of inbuilt storage that is further expandable via microSD card up to 32GB and a 3500mAh battery. “iBall Slide 3G Q7218 is our proud launch with its key USPs of Powerful Quad core, 3G at a particular price point, and we are sure it is compelling enough to give the biggie brands a run for their money,” said Sandeep Parasrampuria, Director, iBall during the tablet launch.